One frequently asked questions I get from homeowners is, “How do I touch up my interior walls on my own”? 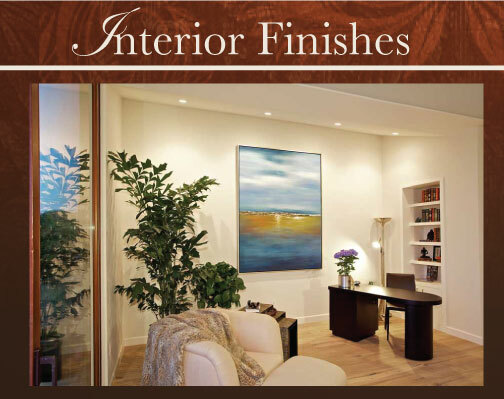 There are some instances where a wall or area just doesn’t touch up with satisfactory results. In that case you need to repaint that area corner to corner, top to bottom. However, many times you can achieve very good results touching up. The main goal is to blend in the area so that you cannot tell where the touch up was made. Using the correct paint is most important. When your home is painted by Brian Miller Painting Company we will leave you with touch up paint in a clearly marked can labeled with the area it was used. DO NOT throw these away! This is a common mistake many homeowners make. The paints should last a long time as long as you keep the lids tightly closed and the cans are kept inside away from the elements. Paint cans left outside will quickly rust and leak. Touch up jobs always work best when using the original batch of paint. As years pass you may or may not be able to repurchase the exact same product. When you’re ready to touch up an area, open your paint can and thoroughly stir up the paint, be sure to stir up all the solids that settle to the bottom of the can. If the paint seems chunky or dirty this can be resolved by straining the paint. You can find strainer cloths at any local paint store or home improvement store. Pouring the paint into another container through the strainer will clean the paint as if it were new. Before touching up your whole house be sure to do a little test spot and let it dry thoroughly (a hair dryer can speed this process up). Make sure that not only the color is correct but also the sheen matches. When touching up a small blemish, usually a small brush will work fine. Keep the touch up as small as possible, just enough paint to cover the mark (don’t make a big problem out of a small one). The type of surface you’re touching up will partly determine the level of difficulty. Coarser textured walls touch up easier than smooth surfaces. Flat painted surfaces touch up better than shiny enamels. Whites and lighter colors touch up better than dark colors. Water base paints touch up better than oil base paint. Most people have seen the results of a touch up job that did not turn out well. This should help you achieve better results!